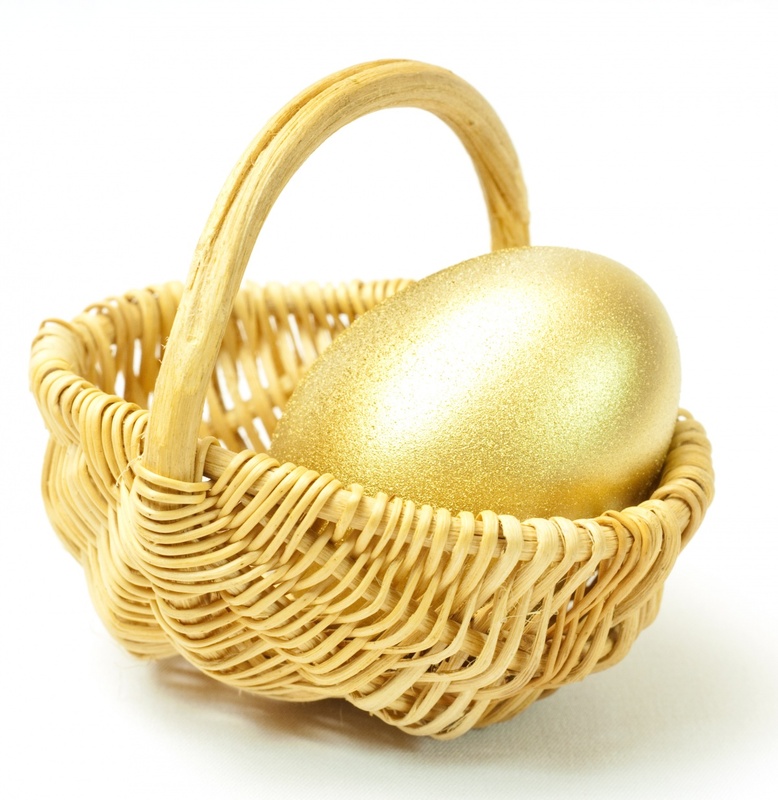 When I say, “the goose that laid the golden egg,” you know exactly what I’m talking about. A farmer has a goose that lays a golden egg every day. This goose brings them a rich and comfortable existence that would not be possible otherwise. One day, by some influence or other, the farmer decides to get to the source of the gold inside the goose and thereby have all the gold at once. He slaughters the goose and, not surprisingly to us, finds that there is nothing inside but ordinary goose parts. 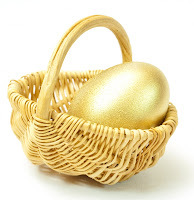 He has killed the goose that laid the golden eggs, and lost forever his hope of prosperity. On the surface, this tale appears to be about greed. It appears to be telling us a cautionary tale about ‘wanting too much.’ It has even been used in anti-union propoganda of the past. it isn’t just about greed? this story is also about our relationship with our creative/creator selves? Compare the two images above. 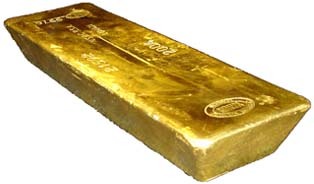 See the gold bar – raw material – very valuable – easily divided and used. Very utilitarian. I imagine that every one of us would have no trouble figuring out uses for that bullion and no qualms about slicing it up into pieces. the egg presents some unique challenges. One of it’s most valuable attributes is it’s elegant and pleasing shape. To break this up into usable pieces destroys what may be it’s most precious feature. No, this source must be loved, admired, respected, even revered. It calls for a sense of awe and appreciation of some higher pattern at work. Something beyond our mundane, conventional minds. And we, we, my friends, are both the farmer and the goose. The farmer – our ordinary-reality, workaday-world selves. The goose – our creative expression. Love, admire, respect and revere your goose.